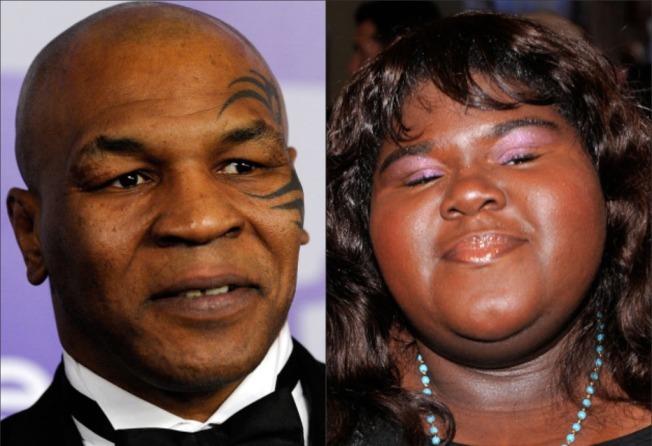 Gabourey Sidibe & Mike Tyson Set For "The View"
Oscar-nominated actress Gabourey Sidibe and former world heavyweight champion Mike Tyson will appear on ABC's "The View" next week. The network announced Wednesday that Sidibe will mark her first time as guest co-host of "The View" next Tuesday. She made her acting debut in the critically acclaimed film "Precious: Based on the Novel 'Push' by Sapphire." Then on May 7, "Iron Mike" Tyson will sit down with host Barbara Walters for the first time since her memorable interview with Tyson and then-wife Robin Givens in 1988 on ABC's "20/20." "The View" features Walters and her co-hosts Whoopi Goldberg, Joy Behar, Elisabeth Hasselbeck and Sherri Shepherd. It airs at 11 AM Eastern time.